Optometrists perform eyesight examinations, give advice on visual problems and prescribe corrective lenses or spectacles. 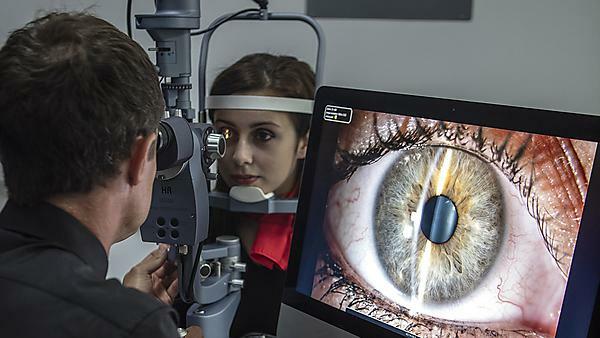 Working with patients of all ages, optometrists examine the eyes to detect signs of injury, disease, abnormality and defects in vision and related health problems. continuing education throughout your career. A huge advantage of studying optometry at Plymouth was the chance to attend placements in different optometric settings, as well as at Derriford Hospital.